Love snail mail? I do as well. Postcards are my favorite form. If you drop me an email on my contact page, I’ll send you one from my collection. 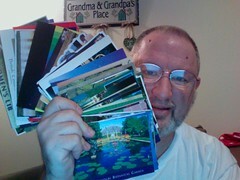 If you’ve got some great cards you’d like to send, contact me as well.